Nags Head, NC (OBX). " 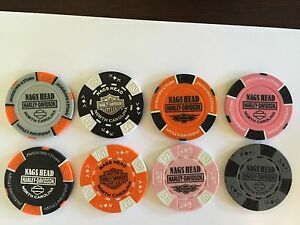 Nags Head Harley Davidson ". This is for one (1) NEW Poker Chip from. Just as described. Would buy froim again. 5 star Ebayer!! !